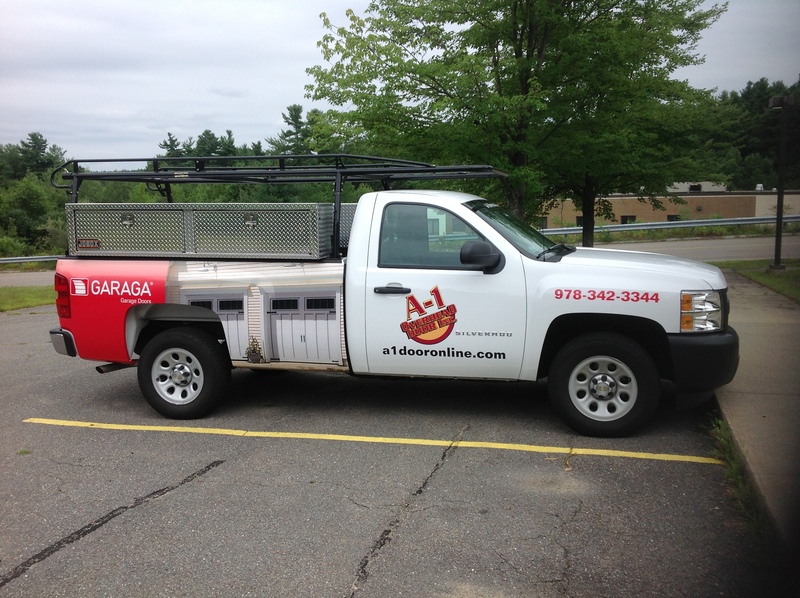 At A‑1 Overhead Door Systems, selling, installing and repairing garage doors and garage door openers in and around Leominster is what we are all about! Years of experience with all aspects of garage doors has given our team the skills and confidence to pinpoint and resolve whatever issue you may have with your garage door or garage door opener. We are knowledgeable and professional experts who you can count on to handle any garage door system problem, or if you want long-term peace of mind, we can set up a preventive maintenance program. Call 1-800-409-3667 and find out why "Service is our leading product!" Whatever request you may have, we will make your door work! Are an EPA (United States Environmental Protection Agency) Lead‑Safe Certified Firm. Serve: Andover, Burlington, Worcester, Nashua, Billerica, Fitchburg, Leominster, Lunenburg, Westminster, Ashburnham, Sterling, Lancaster, Stow, Bolton, Harvard, Groton, Shirley, Carlisle, Concord, Acton, Maynard, Ayer. By far and away the most hardworking components of your garage door system, responsible for raising and lowering the door, are the springs. This is why it is normal that they need regular maintenance, and at times, may need to be replaced. Whether your garage door is equipped with torsion or extension springs, the A‑1 Overhead Door Systems team can help you care for your investment. If you notice an unusual noise coming from your garage when you open or close it, improperly aligned tracks may be the culprit. Not only do misaligned tracks cause an excessive amount of noise, but they could lead to unsafe situations for your family members. Just contact us and you will rapidly have our service team at your home, realigning your tracks. However, don’t delay as your garage door could become detached from its tracks. In this situation, it is imperative that you schedule a service call so that our technicians can come to your home and reattach your garage door while also balancing and aligning your system. As well, they will examine and adjust the components so as to avoid any reoccurrence of this problem. Note that garage doors can come off track for reasons other than natural wear or tear. Not only damage from natural disasters like earthquakes or tornados, but also impact from a vehicle or heavy object can affect the tracks of your garage door. All of Garaga’s residential garage doors possess the 100% Garaga logo, which is a promise that your garage door is entirely certified by the manufacturer, and that all of the parts that compose your garage door system are either manufactured by Garaga, or have met their stringent requirements for quality. When you purchase a Garaga door from A‑1 Overhead Door Systems, you will be fully satisfied with the product, and with the after-sale services available to you!